These Moscow religious sites offer delicious meals. Today pilgrims to monasteries, temples and churches expect sustenance after spending a day in contemplative thought. Moscow’s religious sites have taken up this trend, with many offering visitors the tasty dishes that reflect their religious beliefs. 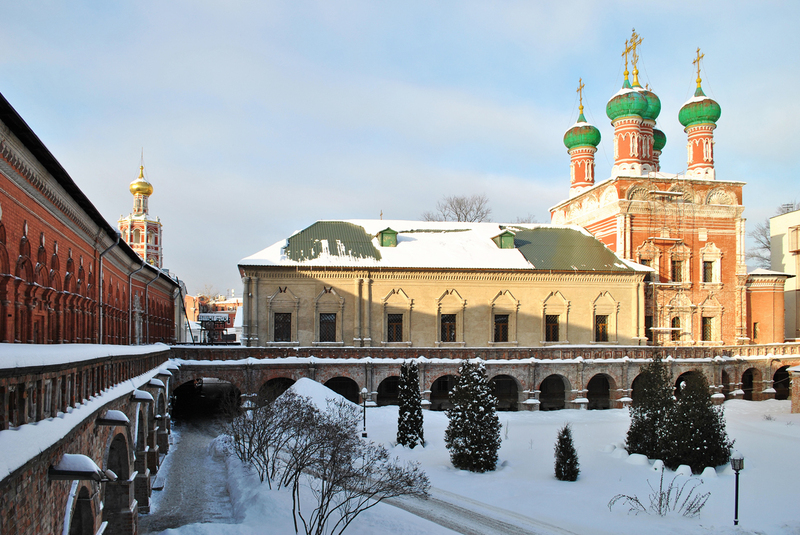 This ancient monastery, first mentioned in 14th century, lies in the very heart of Moscow. It is one of the Russian capital’s most picturesque monasteries: even the semi-basement floor of the Trinity church, where the renowned refectory is located, is decorated with breathtaking frescoes depicting Orthodox saints and scenes from their lives. The refectory is well known in Moscow — at lunchtime, pilgrims and monastery guests have to fight for space with the workers from the nearby office complexes. The menu is made up of traditional Russian dishes and includes a wide array of salads, traditional soups, main courses and fresh baked goods. The monastery’s specialties are homestyle mushroom schi, beet and apricot salad and baked fish. Visitors should be aware that the monastery observes Orthodox fasting days and does not serve any meat or other dishes that violate the fast during those periods. Working hours: 12 p.m.-6 p.m., lunch: 1 p.m.-4 p.m. The Jerusalem restaurant is located on the roof of this synagogue, the first to open in Moscow. In the summer, visitors can soak up the sun and admire the view over the Patriarch’s Ponds neighborhood. The restaurant’s motto is: Kosher as in Jerusalem, tasty as in the Caucasus. And the dishes live up to this saying. The menu features a wide range of dishes from Russia’s Caucasus region — including notably tasty kebabs — as well as traditional Jewish dishes such as hummus, forshmak and falafel. Pay special attention to the wine list. The red wines are supposed to be particularly good. Service is not super fast, which allows guests to enjoy the scenic view. Because this cafe is located on the territory of a mosque, women must dress modestly and cover their arms and legs. To be perfectly honest, few women eat here. The interior of the cafe is rather austere. Long wood tables and minimalist seats fill the room. One wall is decorated with an oil painting of Hagia Sofia, the Mosque of the Holy Wisdom in Istanbul. The menu features mostly Uzbek and Tatar dishes — halal ones, of course. The main feature is samsa, stuffed Uzbek pies. Regular customers also recommend the manti (large dumplings) and plov. On Friday, make sure and come early. Those who attend services at the mosque often clear out the food before midday prayers. Working hours: 12 p.m.- 7 p.m. In keeping with the beliefs of Hare Krishnas, the menu at the Satva cafe is completely vegetarian. It is also organized according to the Ayurvedic principles: A full meal should therefore consist of the six flavors humans can taste: sweet, salty, sharp, bitter, sour and umami. These flavors are directly linked to human emotions. This cafe serves food for ordinary people and also makes prasad — a special kind of food that should be offered to a sculpture of a deity or saint and is considered consecrated afterwards. Among the items on the menu worth special mention are the palak-panir (spinach with cream sauce and fresh cheese), potato casserole with vegetables and kichri (rice with dal and vegetables). Those who just can’t eat a meal without something resembling meat can try marinated tofu schnitzel. Satva’s menu also features a wide selection of desserts. Working hours: 9 a.m.- 9 p.m.